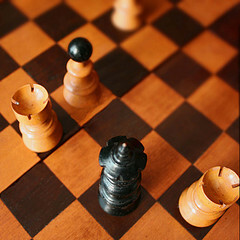 How to Write a Resume Step #3: Strategize! This is the 3rd post in my ‘How to Write a Resume’ series and it’s maybe the most important of them all. Learning how to strategize your resume is the absolute #1 secret to opening doors and getting interviews. Developing a resume strategy means sitting down and figuring out exactly what message you want to convey. Most people think of resume writing as documenting their career history but that’s absolutely the wrong way to think about it. How Do You Settle on a Resume Strategy? We’ve already laid the groundwork for your strategy in the first two posts in this series. So far, I’ve talked about how important it is to understand what employers need (“Feel Their Pain”) and also why you then have to fully understand what you bring to the table (“Work Out Your Value”). To decide on your resume strategy, you simply put the two together. You look at your ability to add value and you match that to the needs of your target employers. Where the two meet, is your unique value proposition, and that’s the basis for your resume strategy. So for a sales person, the key message might be to show how much money he has made for various employers over the years. A web designer might have identified her biggest strength as her ability to delight clients with her designs, and she decides this is what she wants to communicate. This may all sound very obvious, but the mistake most people make is trying to communicate too many different messages in one document. Decide on your strategy and then stick to it! (By the way, it’s OK to have several different resumes, each with a different target audience and strategy in mind). What career accomplishments can you highlight that will support your message? And more importantly, you’ll have a document that will press all the right buttons for your target employers and will therefore give them a compelling reason to pick up the phone and call you. In my next post, I’ll talk about how you can use copy writing techniques to bring your resume alive. If you’d like to be notified when it goes live, just leave your email address with us here. If you’d like to create a resume just like the pros, check out our resume writing e-course, which shares every one of our resume writing secrets along with 20+ resume samples and templates so you can write a killer resume from scratch. I like the way you write, it is easy to understand and unique. by the way for info. I’ll wait for another useful posting.